Violinist Catherine French is a native of Victoria, British Columbia, where she began Suzuki studies on the violin at the age of four. A frequent soloist, Ms. French has appeared with orchestras and in recital throughout Canada and the United States, and made her Carnegie Hall debut in 1992. She has been a participant in the Portland, Lake Winnipesaukee, Marlboro, and Carolina Chamber Music Festivals. Ms. French is a graduate of Indiana University, where she received a Bachelor of Music degree and a Performer's Certificate, and the Juilliard School, where she earned a Master's degree. Her major teachers have included Dr. Lise Elson, Miriam Fried, Felix Galimir and Joel Smirnoff. 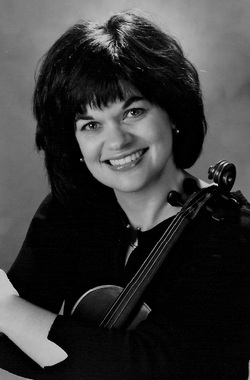 Ms. French joined the violin section of the Boston Symphony Orchestra in September 1994. She can be heard in the Boston area as a member of Collage New Music and the Calyx Piano Trio, and in performance with other BSO members as part of the Prelude concerts at Symphony Hall and other local venues.